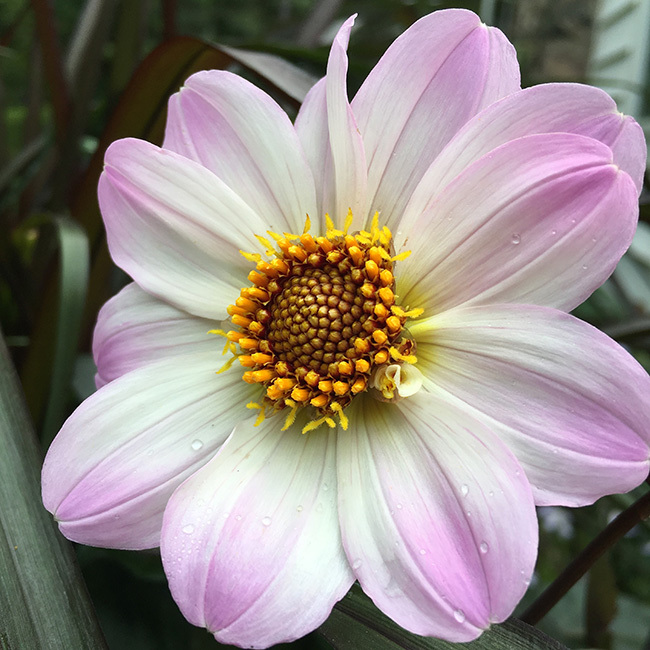 It has been a great year for dahlias in my garden and after talking to several dahlia-loving friends, I’m counting myself very lucky. 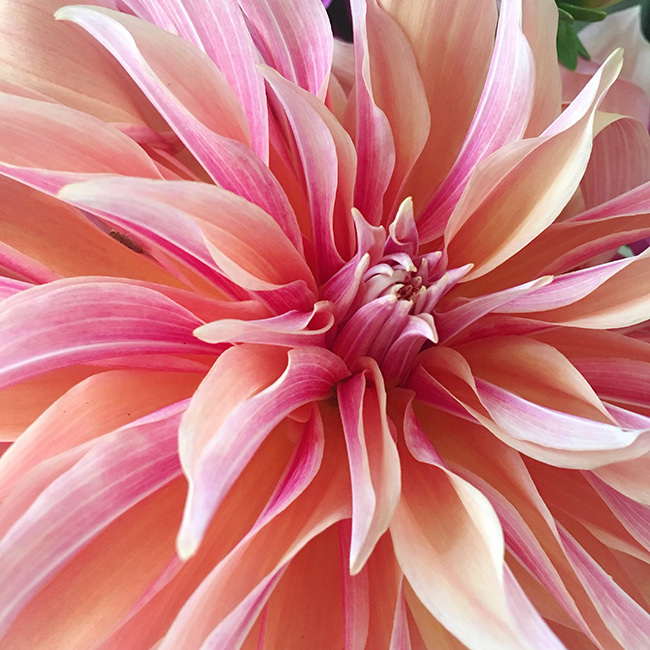 Few flowers bring me as much joy as dahlias, and I like them every which way: big and blousy, perky singles, pokey cactus types, perfect little balls. I want them all. 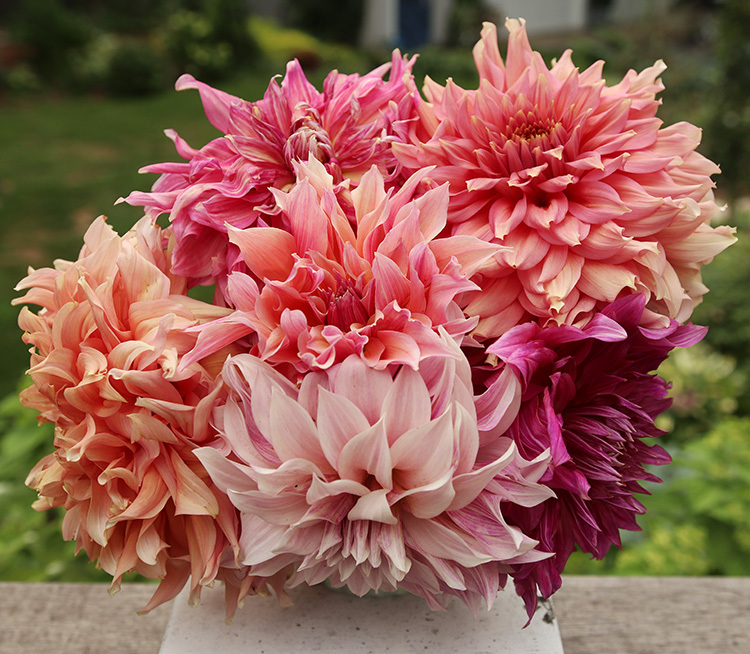 What follows is mostly just a collection of some of this year’s blooms; a bit of eye candy for the dahlia lovers out there. Enjoy. ‘Penhill Dark Monarch’, a new variety for me this year that is absolutely huge and outstanding. ‘Penhill Dark Monarch’ showing a bit more pink. ‘Crichton Honey’ is a steady bloomer and it is doing a great job in its spot at the front of the border. A closeup of ‘Crichton Honey’. I didn’t meant to plant ‘Nuit d’ ete’ along the house (my labeling system clearly could use some work) but it works well there. 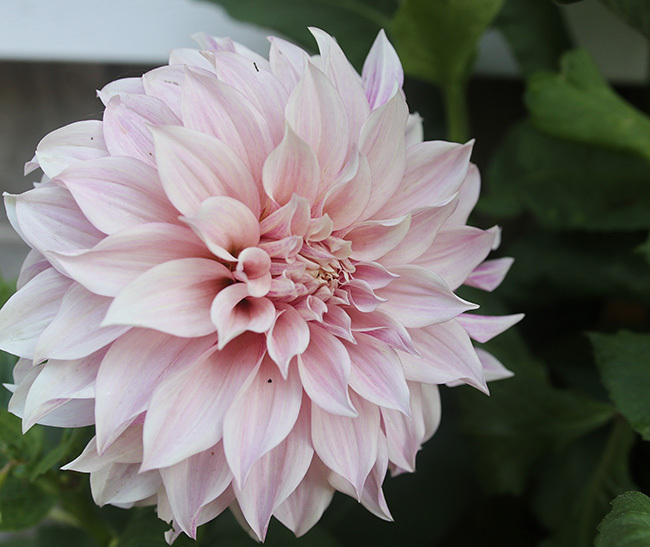 A perfect pink ‘Cafe au Lait’ bloom. ‘Purple Gem’ is new this year as well. 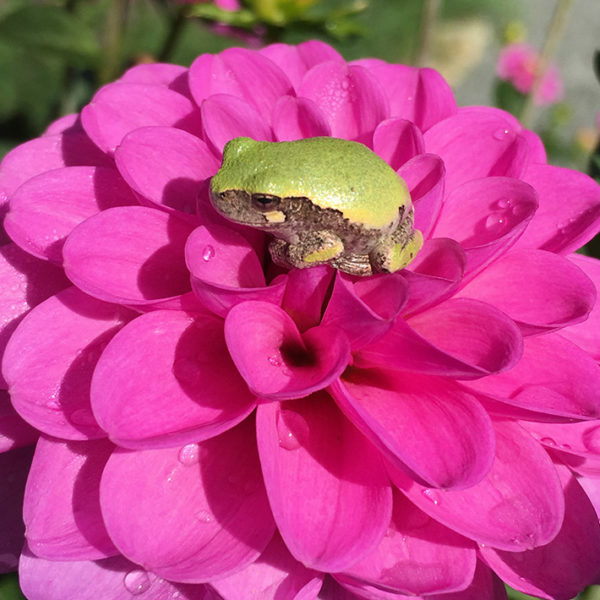 I don’t see any purple in it but it is bright and bold in the circle garden. ‘Cornell Bronze’ is a new ball type for me this year. I’m not overwhelmed by it but I think it would be beautiful in a rusty-colored bouquet. ‘Sneezy’ is a very charming single that the bees love. It bloomed like crazy starting in early June but is starting to slow down now. 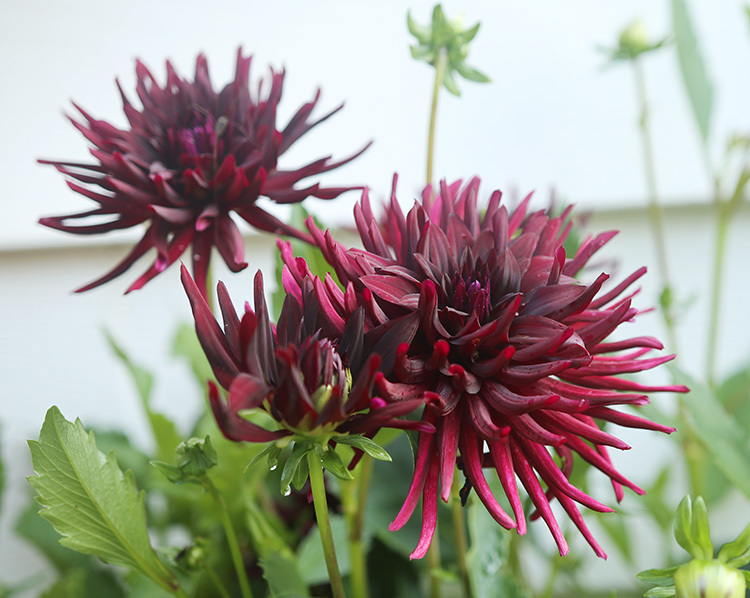 ‘Bishop of Dover’ is another single with beautiful dark foliage. I wish it had a little less pink/purple on it though. ‘HS Flame’ is so great with that dark foliage. A repeat from the last year. It earned its spot in the garden. 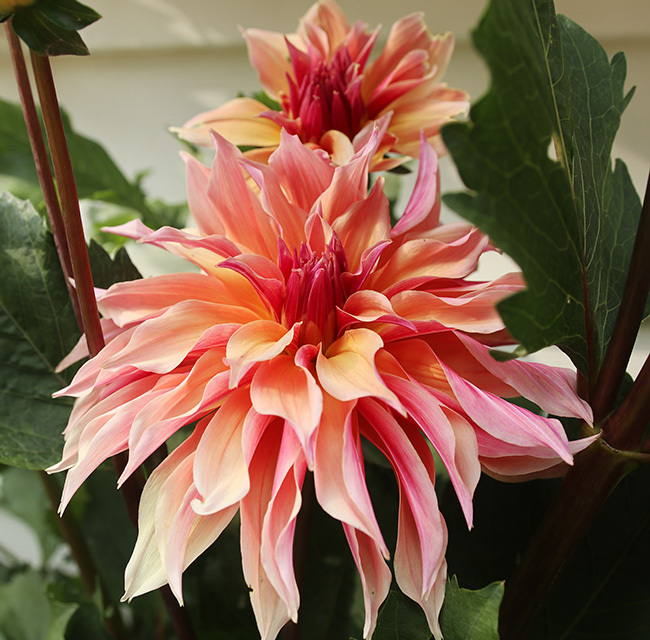 ‘Labyrinth’ is highly in demand variety that is like an entire bouquet in one bloom. Those pinks and oranges combine in the best possible way. I picked this bouquet and just jammed them all in a vase. It’s photos like this that carry me through the long winter. I believe this is also a ‘Penhill Dark Monarch’ bloom. So many great colors. 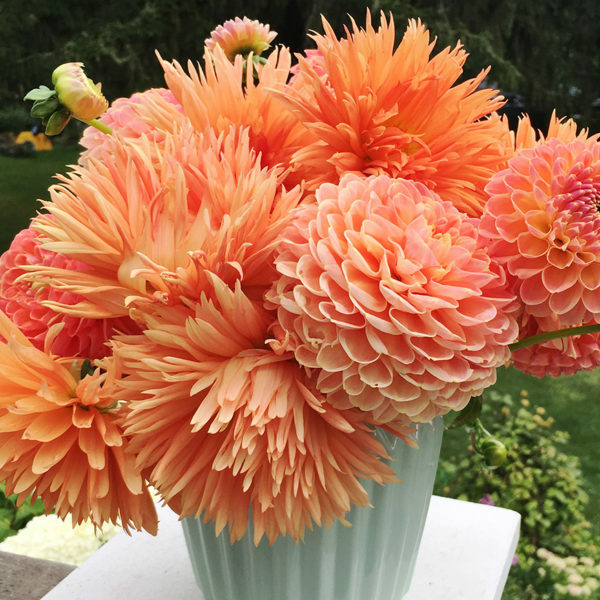 Did you grow dahlias this year? What’s your favorite this year? Sooo pretty! Thanks for sharing. 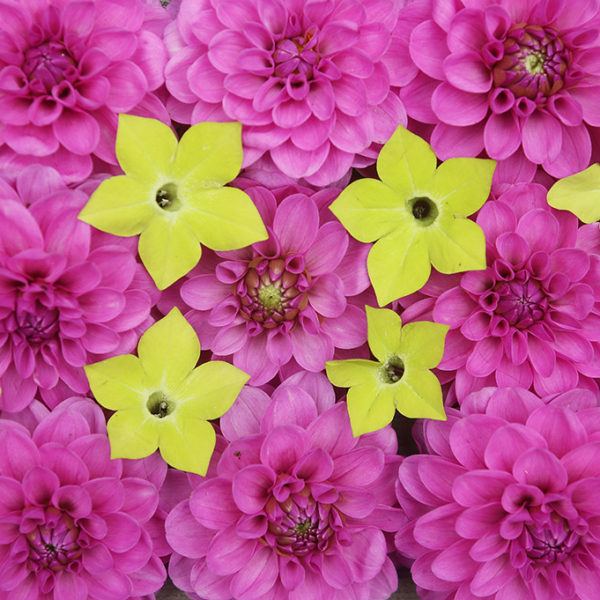 Question – what do you use to fertilize your dahlias? Very little, actually. I put some organic fertilizer (an Espoma product) in the bed along the house where I grow dahlias and annuals before I plant anything and I feed a few times during the summer with fish emulsion, seaweed feed or homemade comfrey feed, all at very dilute levels. 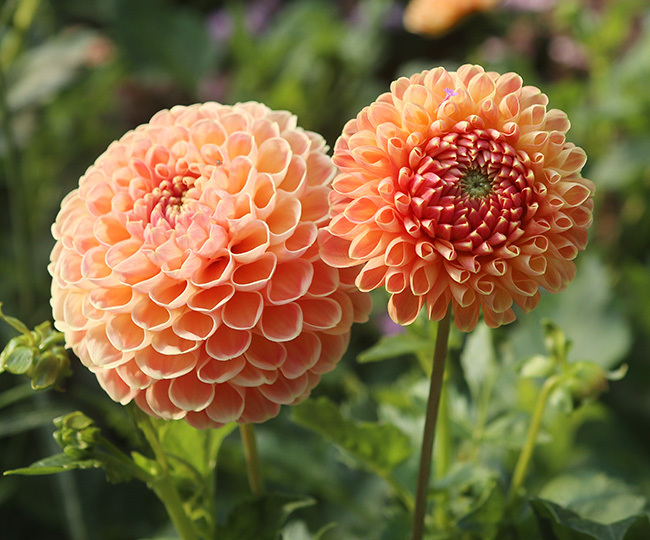 Did you know that the National Garden Bureau has named 2019 the Year of the Dahlia? Bet you are going to love 2019! This is fabulous news. I can’t wait to see all the beauties next year! These are gorgeous. I’ve always loved dahlias, and this year I finally decided to try to grow one. It’s been growing wonderfully, and has had a couple of blooms through the summer, but now it’s not blooming at all. The plant looks healthy, big and bushy and green, just not blooming. Do you have any suggestions? Hmmm, I’m not sure what’s happening there. 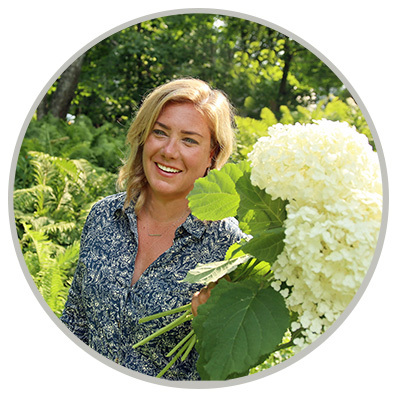 Did you deadhead the spent blooms? 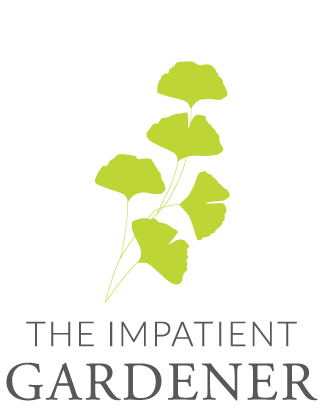 Is there a chance that you used a fertilizer that is high in nitrogen, which would give you that leafy growth at the expense of flowers? Maybe try a fertilizer with more potassium and phosphorus to see if you can nudge it back into blooming. I do have dahlias! I love them as well, although it took forever for me to be able to get one to bloom. They are very difficult here because it is so hot, and the winters can be brutal. Usually, we are told to dig them int he fall to store through the winter. I confess that I did not do that this year and lost one of them. We had a very late freeze, so I think that is what got it. 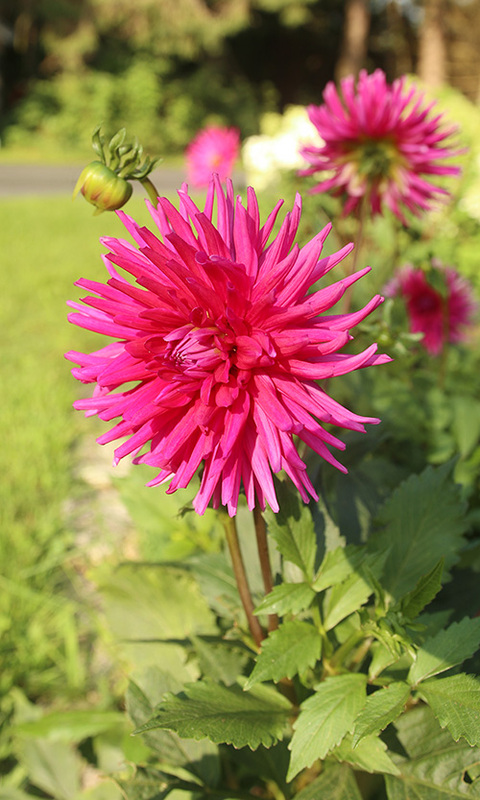 I would love to see how you plant, stake, care for your dahlias. I use bamboo stakes, but I am finding myself having to restake them all summer because they do not bloom here until late summer/early fall. Any ideas?? I will admit, I am usually terrible about staking! I always do it too late, after things have already flopped. I did much better this year. I used wood stakes, about an inch square and maybe 4 feet long and drove them into the ground with a mallet. Along the patio garden, where I grow tall dahlias, I did a “Florida weave” kind of method (I’ve seen it used on tomatoes and decided to apply it to dahlias) where you put a stake in between each plant and then weave twine in and out of the stakes (wrapping at each stake), “trapping” the dahlia in between. It has worked quite well but I need taller stakes. In other parts of the garden I just tied the plants to the stakes. I used to use bamboo, but found, like you have, that they just aren’t up to the job. Since I don’t grow these I love looking at pictures of them and dreaming about the combinations in the garden and in a vase. You’ve got a gorgeous variety. 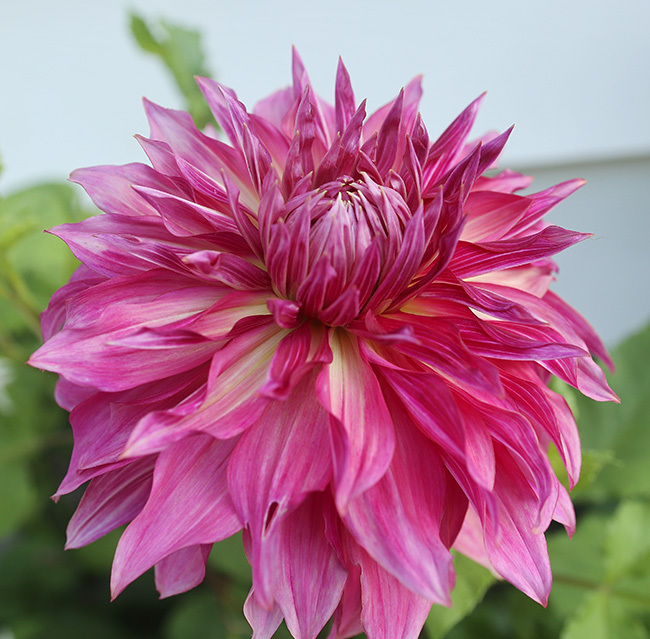 I would love to find out why most of my dahlias have yet to bloom and it is darn near the end of August. Last year I had fabulous blooms and this year very disappointing. Tubers were planted in the same area, so it isn’t the amount of sun. If anyone can give me some thoughts on why I can’t get any blossoms I’d appreciate it. Hi Jean! It may be a watering situation. Dahlias like regular watering. 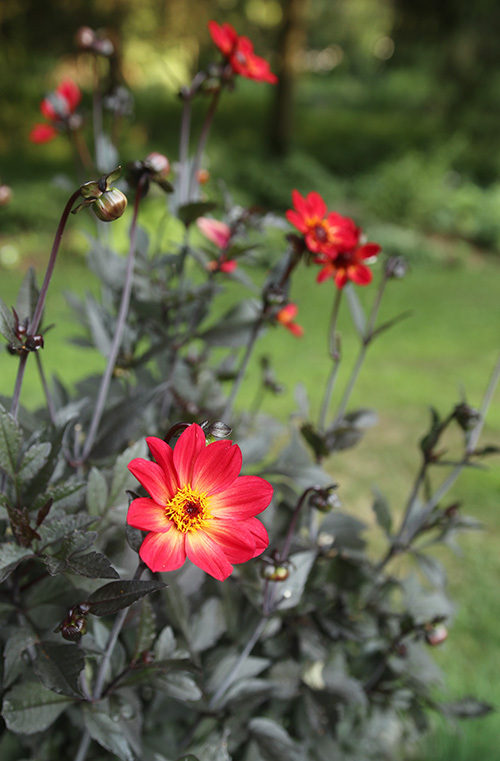 In fact, I installed drip tubing in the bed where I grow most of my dahlias this year and I think that accounts for some of my success this year. wow! Fantastic blooms!!!!! Wonderng – Do you dig ALL of these up and store over the winter?? I do. And then I buy more anyway. It get a little absurd but I love them. 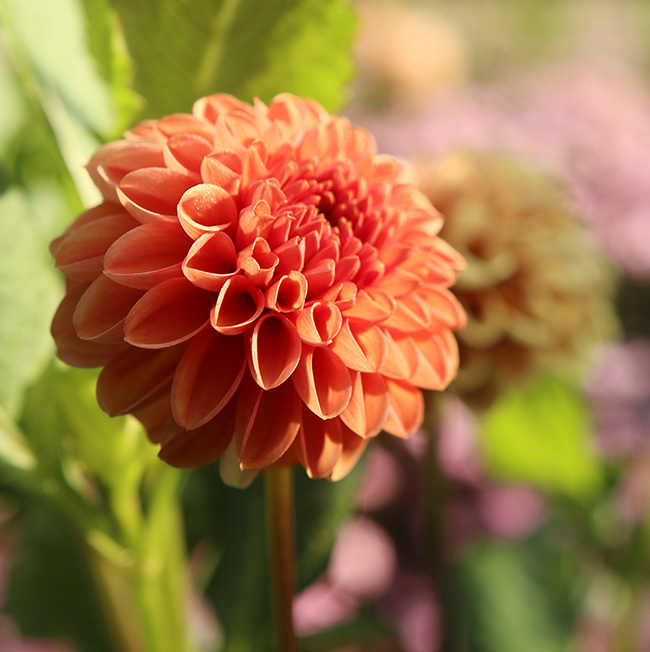 I love dahlias but cannot overwinter them for some reason. I dig them, put in cardboard boxes with sawdust, but they are never viable in spring. Your blossoms are gorgeous. Could you do an article on overwintering the tubers? 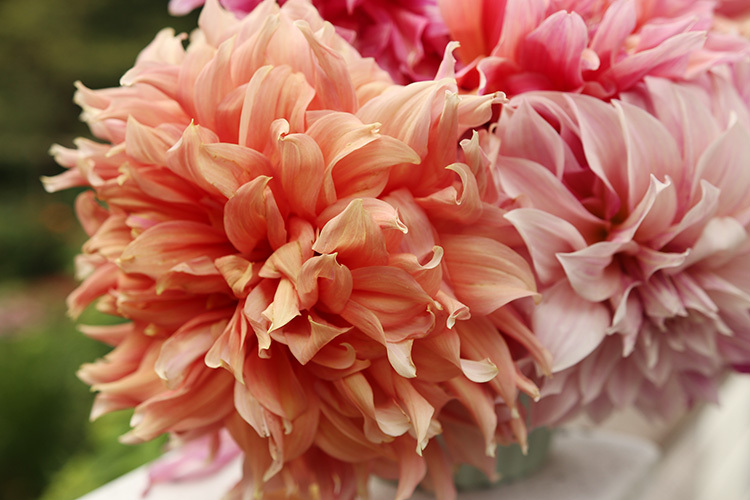 You have a beautiful collection of dahlias. I like all the different forms and of course the colors are spectacular. 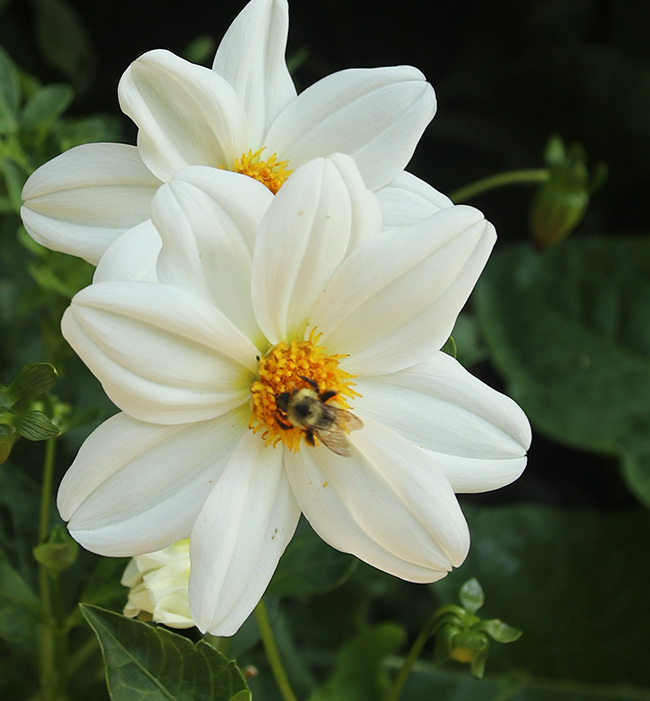 I’ve had terrible luck with dahlias (no blooms, rotted buds, insect damage…) so I’ll just enjoy your beauties! Really, Kylee? I’m shocked. I had a ton of insect damage last year on one variety, which was odd to me. 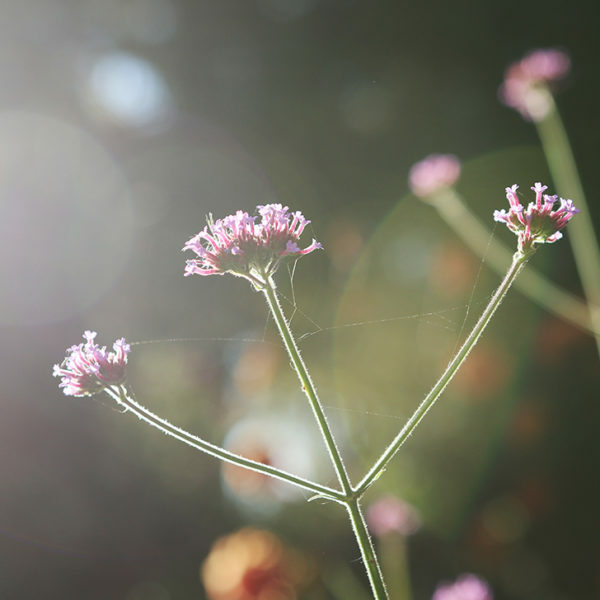 I’ve never found them tricky, but then there are some plants that should be dead easy to grow that I struggle with (I’m looking at you, zinnias). 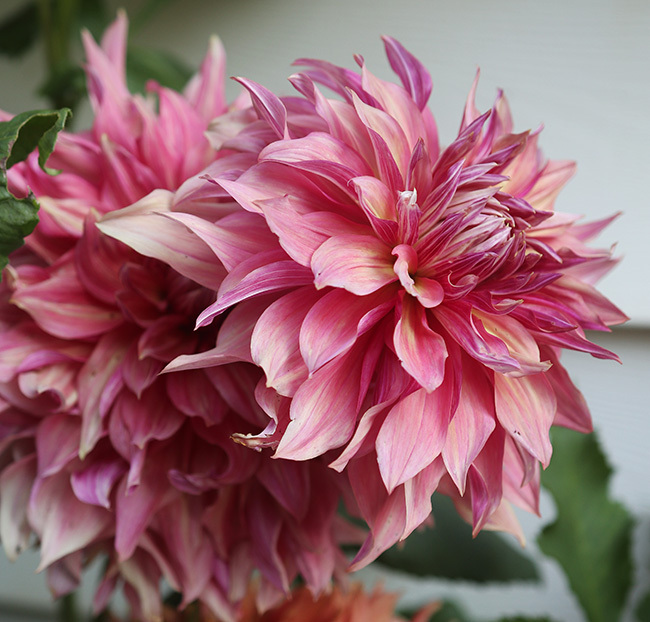 Thank you for sharing these lovely pictures of your dahlias. 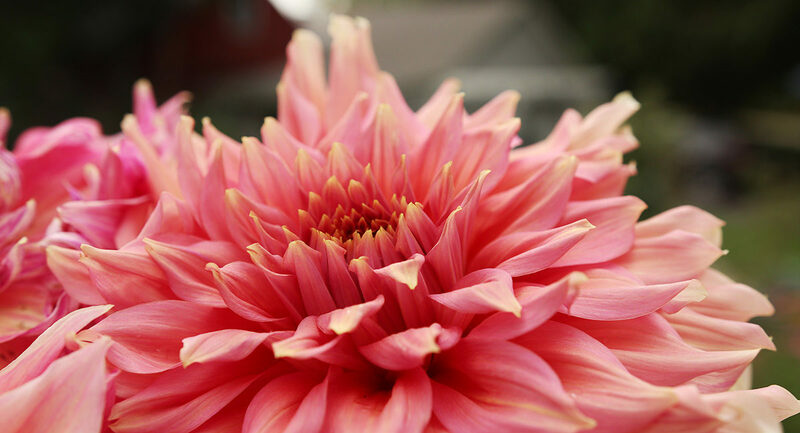 I’m thinking of growing dahlias indoors but I’m worried that they might not bloom as much as they would when outside. Although I did read that it’s possible. Do you have any additional tips? Hi Maggie. I’m not sure I’m going to be a lot of help in this department because I’ve never attempted to grow dahlias indoors. I would think supplemental lighting would be critical because they really are a full sun plant and no window will offer enough light. If you give it a shot let me know how it goes. It sounds like a great experiment.